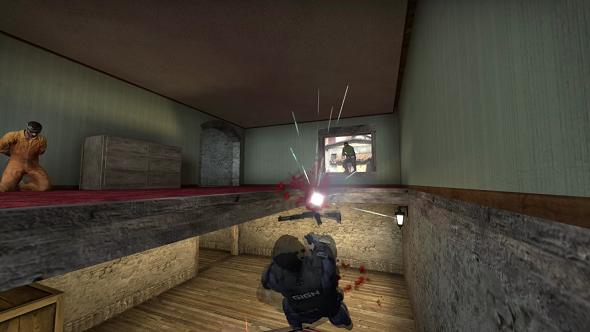 A modder called Z00L is almost finished recreating Counter-Strike 1.6 inside of CS:GO, bringing all the weapons, sounds and movement of the classic FPS to the most current version of Valve’s shooter. As you can see from the video above, they’re nearly there. If you want to branch out a bit, check out our list of the best FPS games. Built within the CS:GO version of the Source engine, you’ll need a copy of CS:GO to play it when it launches some time around December 25. Merry Christmas from Z00L. You’ll be able to play retro versions of the Italy, Mirage, Inferno and Dust2 maps, with all the structural changes and tweaks that exist in them in current CS:GO stripped out. We all like a vanilla milkshake every now and then, right? All CS:GO’s modern guns will also been taken out, along with skins and updated audio. All of it will be replaced with the old-school bits and bobs, though you won’t see 1.6’s crouch-jumping bug replicated, you won’t be seeing inside smoke particles, there won’t be a tactical shield, and the physics for throwables will be CS:GO style. You can’t have it all, alright? Check it out over on ModDB.